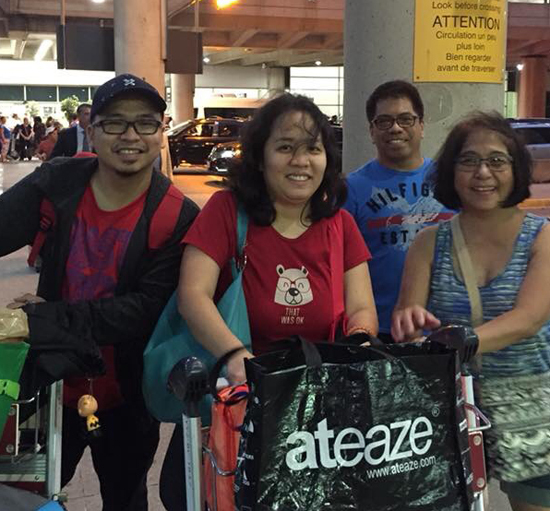 A few short months ago, Sheryll and her husband Erwin, made their dream of living in Canada come true. They arrived in Hamilton with little expectations but determined to succeed in their new life. 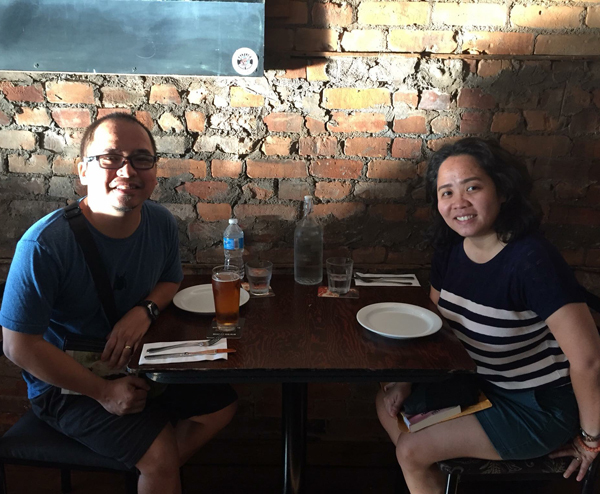 Sheryll and Erwin, share their journey with Unpack Magazine and offer valuable tips on how newcomers can approach job hunting with confidence. “The preparation for our Canadian dream took 3 years, from the application process until our arrival. We tried to learn about Canada as much as we could, from geography, economy, culture and even current events…We also joined many Facebook groups where we learned many insights and tips from those who came here before us. When we finally received our passport request for visa stamping, we became eligible to join the pre-arrival services sponsored by the Canadian government. We registered for the 2-day workshop…which was very helpful and informative. The resource speakers were also Filipino immigrants themselves and were able to share relevant and first-hand experiences. It was through this workshop where we learned about the various Canadian organizations offering support for new immigrants. They sent us …information on the…resources available specific to our field of professional experience, schools offering upgrading courses relevant to our educational background and immigrant resource centres available. My husband and I arrived in Toronto Airport on August 15, 2018, full of hopes and dreams but with little expectations…because we understood that we will have to start from nothing and might have to take on survival jobs to pay our bills and start our Canadian experience. After settling down in Hamilton, we immediately visited the Immigrants Working Centre (IWC) and set an appointment with an employment counselor. We met our employment counselor, Ms. Rosemary Aswani, and we discussed our professional background and our plans in obtaining employment. We also joined the 4-day job search workshop sponsored by IWC. It was very helpful in giving tips as learned how to re-align ourselves to the “Canadian” way in everything we do, from job-hunting, resume formatting, networking, etc. We were also able to meet wonderful people who were also participants in the workshop, some of them became our good friends. While my husband worked, I focused all my energy into researching and reading. I made it a point to submit at least 3 job applications a week. I gained valuable insights each time I submitted an application online…Our plans kept on changing by the week…finally, my big break came when I spotted an internship opportunity through Career Edge at Royal Bank of Canada. The job description seemed like a perfect match to my professional experience, I only needed to change a few things to target my resume to the job posting. I got shortlisted for the interview and I visited an RBC branch to ask about the interview process. I spent sleepless nights preparing for the interview and even had a last-minute mock interview with my employment counselor…I got the job and will be starting on November 5 for a 6-month contract…My husband’s cousin informed him of an opening for a Bank Teller at TD Canada Trust…The role is also a perfect match for my husband’s professional experience…Needless to say, he was chosen for the role and the hiring process has started. We are very lucky and blessed to be able to get a job in our field in such a short period of time. Our experiences in job-hunting has enriched us and built our confidence. Network – My husband got his job through a network. Every person we meet is an opportunity waiting to be discovered. Get out of your comfort zone – As new immigrants, we are sometimes intimidated because of the new environment. We have to get out and be comfortable with our surroundings. Upgrade – No one is too old to learn new things. After we have settled in our new jobs, my husband and I are planning to go back to school and get ourselves a Canadian degree. Ours is a “success story in progress” and we still have a long way to go in achieving our Canadian dream.